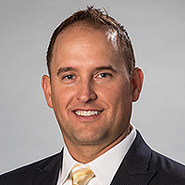 PHOENIX, Ariz. — The national law firm of Quarles & Brady LLP today announced that Darrell S. Husband has joined the firm's Phoenix office in its Real Estate Practice Group. Husband represents financial institutions, local and regional banks, private lenders, private equity funds, REITs, builders, contractors, developers, business owners, and investors in various real estate transactions including the acquisition, disposition, development and construction of various commercial real estate projects (including master-planned communities, multifamily, retail, office, and industrial properties), as well as commercial financing transactions including single-lender and syndicated commercial loans, construction loans, term loans, leasehold financing, secured revolving lines of credit and asset-based financing. He received his law degree from Pepperdine University School of Law and his bachelor's degree from the University of Nevada, Las Vegas.